Home / Chef's Exclusive / CHEF’S EXCLUSIVE: Pakora, Paratha, Saag Paneer and Butter Chicken — ALL On the Same Night!! Pakora, Saag Paneer, Aloo Paratha, and Butter Chicken — all learned from scratch — on the same night! Indian Pakora or fritters are delicious, mouth-watering snacks, and can be made in many different ways, using various vegetables (such as onions, eggplants, potatoes, cauliflower, spinach…even diverse types of lentils) — fried with a spicy batter made out of chickpea flour. It is a little heavy on the oil side, but at the same time, quite nutritious because of the protein from the batter. You can also easily change the way you cook it: you can bake it, instead of deep-frying it. On top of the fritters, you are also going to learn two or three, delicious dinner items: Aloo Paratha, Chicken Makhni or butter chicken, and Saag Paneer, which are very popular dishes everywhere. 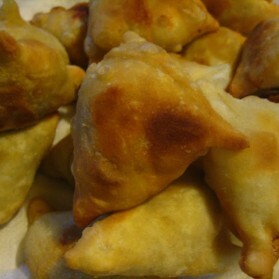 To start off this class, we will be making Pakora, a fried snack that is very common in India. 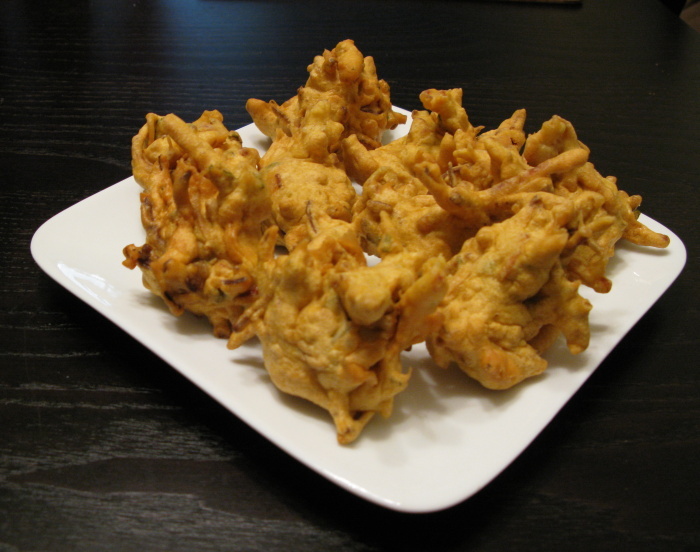 Pakoras can be made using various vegetables like onions, eggplants, cauliflower, soft flowers of sweet squash, etc. In this class, we will be making pakoras with onions. The onions are chopped into thin slices and dipped in a fry batter, made out of chickpea powder or Besan. It is usually served with green chutney and is very popular as a street snack. 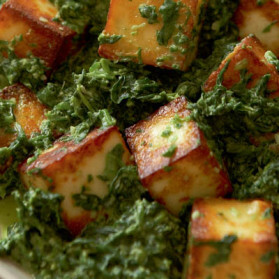 Saag Paneer is a classic Indian dish that brings a sigh of delight to every table. 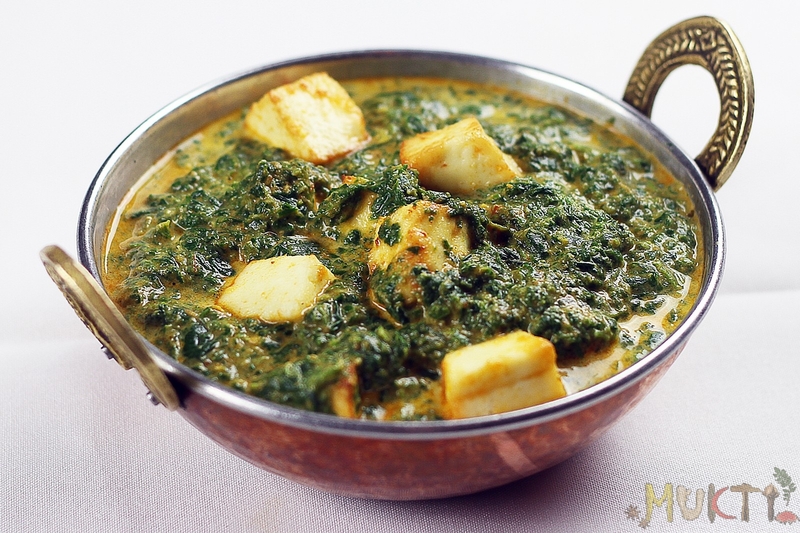 This beautiful green dish is made with spinach and paneer which is Indian cottage cheese. Paneer is always homemade in my kitchen, so you will be learning how to make cheese from scratch. The paneer is broken into small bits and mixed in with the spinach. This dish offers a creamy texture from the cheese and is very healthy for you. Aloo Gobi is a popular, dry dish made with aloo which is potatoes and gobi which is cauliflower. 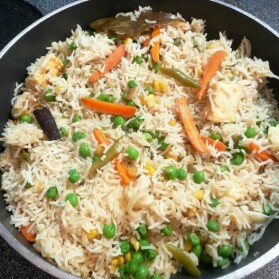 It is stir fried with spices like Panch Foron (five-spice mix), asafetida and turmeric, with a small dash of salt. The turmeric gives the dishes a lovely yellow color. 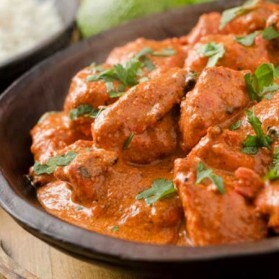 Butter Chicken is one of the most known dishes in India. It has become so popular now in America that it is a favorite at home and common in most restaurants. Butter chicken is usually made with ghee, spices, and cream; these ingredients give the dish a rich texture, and is often served with either bread or rice. Aloo Paratha is fried potato bread that is often served with other savory dishes. Paratha is a flatbread that originated in the Indian subcontinent. The bread dough is stuffed with mashed potatoes and then rolled out flat, and is simple to make. I will show you the tricks, and then we will make them hands-on.